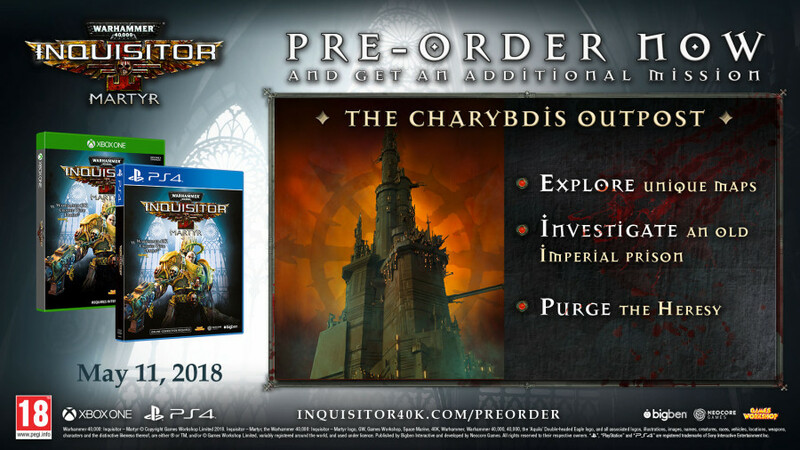 Inquisitor - Martyr Pre-Order on PS4 and Xbox One available! Pre-Order on PS4 and Xbox One available! Before examining the different editions, just a quick disclaimer: we'd like to confirm that beside English, Inquisitor – Martyr will support the following languages for subtitles and UI at launch: German, French, Russian, Spanish, Portuguese, Japanese, Korean, Italian, Polish, Hungarian. The game also supports enhanced modes on the PlayStation 4 Pro and the Xbox One X! 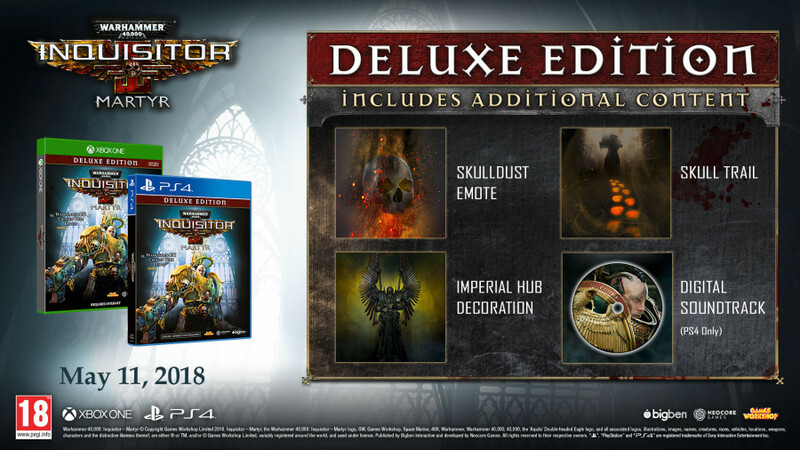 Warhammer 40,000: Inquisitor – Martyr is coming to PC, PS4 and Xbox One on May 11, 2018. Stay tuned for more information! Our console ports are handled by BigBen Interactive, so they should be able to give up-to-date information about Martyr's console releases. Be sure to inquire at [email protected] for details! Thank you! I have heard that there is an exploit which makes it possible for players to get the best possible equipment. This also renders leaderboards useless. Also, afaik, developers already said that there is no way for them to get back items and progression from exploiters. Some people demand server wipes while exploiters are happy with the current state. What about upcoming console version? Will it be exploit free ? Does developers said anything about it? Big Ben are absolutely useless and don't even reply! I still haven't had a refund for my pre order and have had no reply to 3 emails so far asking what the hell is going on! At this stage all I want is my money back and I have no intention of purchasing this game on console now as I already own it on PC. I was willing to purchase it on both platforms to support development of this game but the way the console port has been handled has been nothing short of a disgrace! I think with what Big Ben & Neocore are saying (or aren’t saying, to be more accurate) we can reasonably expect another delay; as to its length, I doubt it’ll be 6 months. With the previous delays and the fact that the PC version has already been released, if this is the case; you’d think someone at either company would attempt to get in front of it and be proactive, rather than letting the rumors circulate and frustrating their console player base. Also the longer any potential delay is, the more distance there will be between the content the console players and the PC have access to. Big Ben have previously said in an email to me that the official release date will be announced this coming week, I really hope this doesn’t mean them waiting to the 11th hour next Sunday to announce another delay. Don’t get me wrong, I’m still hoping the game does release on the July date; as I really want to play the game, But it has to be said the communication to the players has been terrible. If there is no delay great, tell us and stop the rumors and confusion. If there is a delay, fess up explain the situation and get in front of it. I've got a mate who works for the Games Workshop store in Bolton, so i emailed him on Thursday and asked if he could find out anything, met him last night to watch the World Cup match, he's looked at there upcoming releases internally and it says December. I just dont get it at all..
We have carried the greatest attention to your e-mail. At the moment we can not give you information about US." All I wanted to know was when can I pre-order the digital version (PS4), what versions will be available, and how much each will cost. Ya that’s basically what I was trying to convey. Right after it got delayed to July 5th, GameStop changed theirs to 12/31 so I think this is just a random date. I’m not saying it won’t get delayed again, I just think not by that much. There’s another part of me that wonders if the higher tier physical editions are what’s getting delayed because of availability. Whenever a game has a 12/31 release date it means the release date is unknown. Go look for a release date on Death Stranding, Final Fantasy 7 or The Lost Of Us 2. Yeah I was thinking the same. Seems like a default fall back position they do when they can’t be sure of the actual date or are waiting for one. “We have carried the greatest attention to your e-mail. The official release date will be announced next week, we can not give you more information. It seems like we’ll probably get an announcement next week, telling us there has been another delay and as you said probably not the 6 months the resellers have currently, but still another delay. Thank you for pre-ordering Warhammer 40K Inquisitor Martyr with GAME! We wanted to let you know there has been a change to the release date for Warhammer 40K Inquisitor Martyr. The game is now due to be released on Monday, 31st December. Yeah frustratingly, it sounds like the only option. I suppose all we can do is hope it does come out week after next, i would really really like it too, it does look amazing, so it would upset me to bin it off before i have even played it. If this is anything other than a mix up, it seems totally wrong that customers are having to be informed by 3rd party resellers and not the developers or publishers. And when we are ask questions about their product, we get differing and vague answers. Staying at your service for more information, The Hot Line Team. So either it's a mistake or they are trying to keep it secret for fear of upsetting the console community. You know it would not surprise me if they dont do a Focus Home Interactive and pull the plug on the game... the Dev's are clearly incompetent, just look at all the bug reports appearing daily on the forums, they have released a pile of crap on the PC... if you buy it on console....more fool you...spend your money on something that will actually work, not this garbage. Yeh i have just looked at Game and the release date has been pushed back to December. I can't believe that there is this level of ambiguity with the release, especially this close to the previously specified date which had already been pushed back. The Hot Line Team "
This isn't the "don't worry everything fine, just a mix up" response i was hoping for and taking the reply at face value, leads me to think that the release date is still fluid? This is really disconcerting and i would really like to know what's going on. Will i be able to use the same account for PC and PS4? Why is it the Deluxe/Imperium edition is not available for US for PS4? I would like to get the digital content for the preorder that the brick and mortar doesn't offer. Is this going to be made available to the US or is that just a bug currently with the pre-orders? I was wondering why the game was removed from the Xbox Marketplace? I preordered the most expensive one, and I must say I'm a little worried now. Are we still getting the game? Should I look into getting my money back? Please help. Lol. I´m sure you can sit back and just relax, because I´m sure you will get your game when you have preordered it already, despite all these things that happens. Yes, it is a fact that everyione involved here have shot themselves in the foot here, when saying that all platforms will get released simultaneously, no doubt about that. It is all confusing, but things will come through in the end. Different dates for all platforms was also the case when the game was set to originally release on May 11th too. The biggest bummer is for the game to be released on all different dates across platforms and not simultaneously as has been the original plan for such a long time. But either way it's yet another delay... so much for Megapulls "5th of June set in stone"
So as I said, we are still in talks with our publisher. If there will be any changes we will announce it of course. Thank you for your patience! We are still in talks with our publisher. If there will be any changes we will announce it of course. 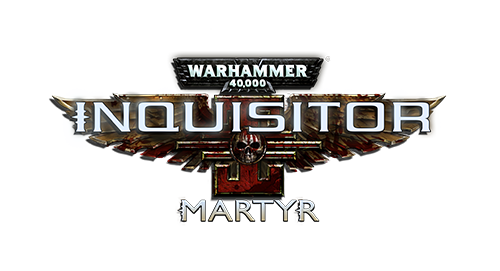 We wanted to let you know that unfortunately there has been a change to the release date for Warhammer 40K Inquisitor Martyr. Due to some technical issues with the day one patch, BigBen have taken the decision to push the release date back to 3rd July to avoid any disappointment. My pre order with amazon now reads 3rd of July & all three digital versions on the Microsoft store have gone....so has the date been changed again? Was reading about these Console Versions of the game, and was having a look at the site of Gamezone which now is not having the Xbox Version anymore. It is just gone. No mention of it at all. Playstation Version is available only. Was having a look at Gamezone less then 2 weeks ago too. And back then the Xbox Version of Inquisitor was totally available. Have been looking at Gamestop´s site too, and they are not getting in the Imperial Edition of the game at all- How come? Why bother about this 2 weeks or not 2 weeks thing? We all know it is now June 5th. And after that it will be July 28th. Then on August 16th. May 11th, as it is in two weeks. I assume math is not your forte. Still two weeks before May 11th. Though I do not know details, I have been assured that we will get the upgraded versions in the US for PS4 and Xbox, it seems their publisher for the states is still working on this, so hopefully we'll have something soon! I wasn't given any dates, just assured of this. Well. Wouldn´t it be nice to actually have a Big Package twice & ++ the price of the Imperium Edition available for Console Versions then?! I would also like to know when or if the deluxe and imperium edition will be available in the United States for the Xbox? I can only find the standard edition for sale. Any news if the upgraded versions will be available in the US (for the Xbox)? Or a good digital version even? All I can find still is the basic disc version, nothing else! "Besides these, there will also be smaller DLCs, mainly based on loot and smaller storyarcs. They will be cheap, and you will be able to buy these for Fate too, not just cash - you won't have to give us your money for these… your Fate will suffice :P"
"Our goal was to include a player-friendly monetization system which supports the overly dedicated players, and this is exactly the reason why we want to make even the DLCs available by grinding." Hence the possibility of an issue with the Imperium version as you pay extra to get a Steelbook and the Season pass in addition to the Deluxe edition. Moreover, some people will get the digital version, without the Steelbook, and so will pay extra only for the Season pass. How will they feel when they discover they could have got those DLCs for free? 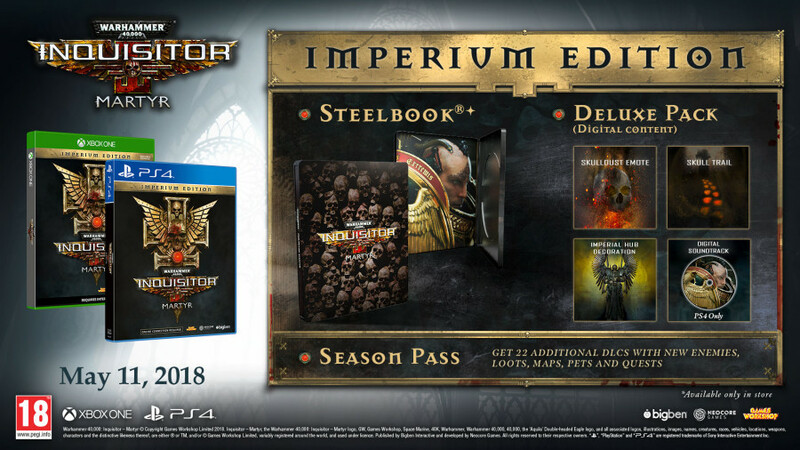 Would they have chosen the Imperium over the Deluxe edition if they had known before that the DLCs could be acquired by simply playing? That's why we were asking for a clarification: are the DLCs still planned to be also buyable with Fate - and people should be made aware of that before they take the Imperium edition - or are those now planned to be buyable only with money?